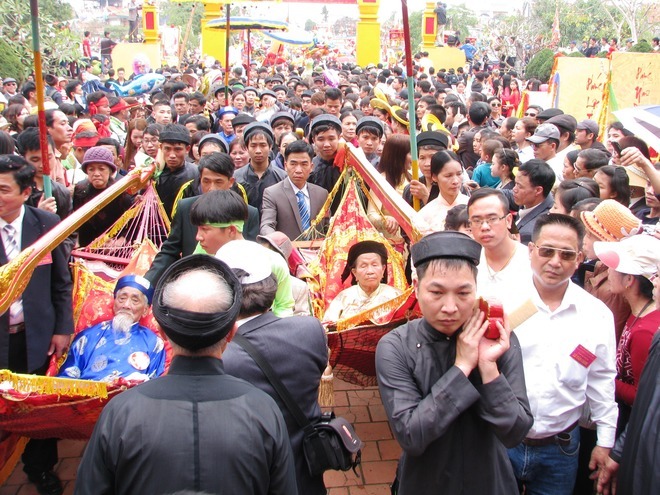 The Centennial Ceremony, a celebration of the elders above the age of 80 and craft their names on the Tien Cong Temple in Ha Nam Island, is held to pay the respect for those who have dedicated their lives for this land. Ha Nam Island is located in Cam La Ward, Quang Yen District, Quang Ninh Province. 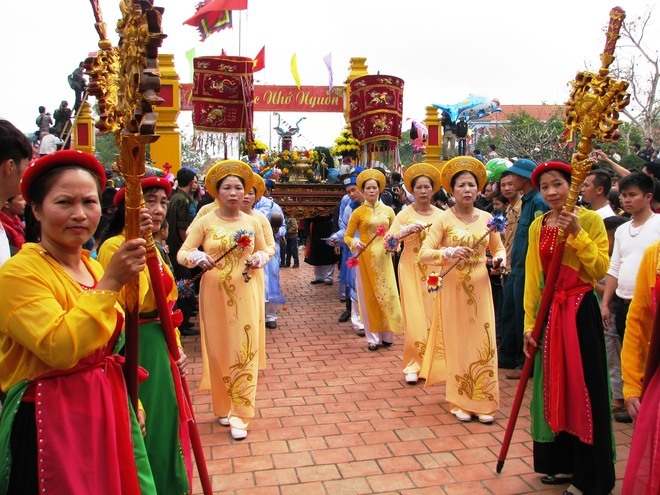 Every year, on the 7th of January, families that have members who are older than 80, which in Vietnamese custom is a very special occasion that is very rare, will celebrate the ceremony with the help of the villages. 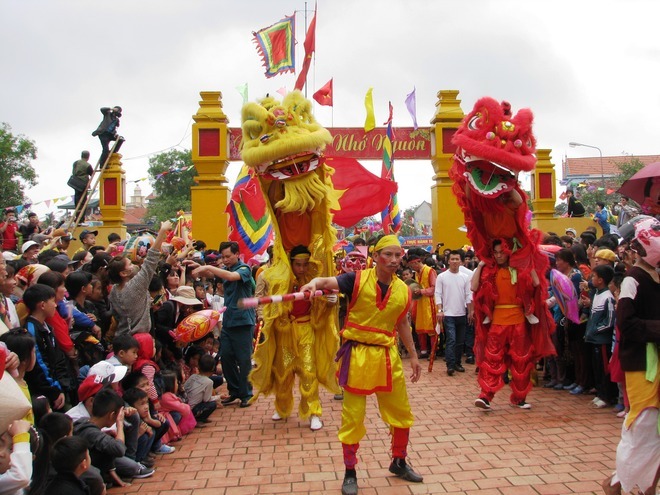 The ritual is to bring the Elder to the Tien Cong Temple for the ceremony. 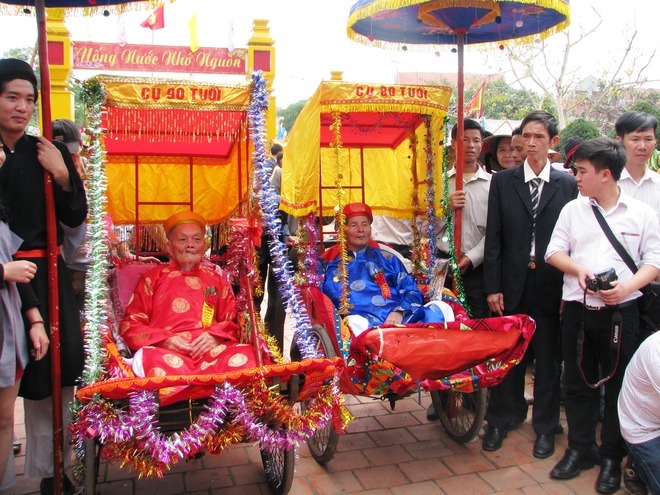 Here are the Dual Elders, which is a couple, Le The Quyet and Vu Thi Chinh (80) in Phong Coc village. They have 8 children. 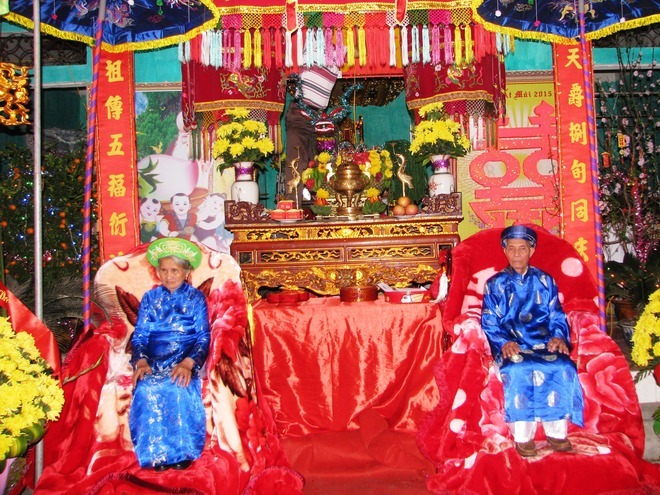 The ceremony has to have, betel and areca, cake and pig’s head… Some wealthy families even bought a whole pig. The Centennial happens very slowly, due to the Elders are not very fast. Sometimes it took nearly 3 hours to reach the Temple, even though the starting point was only 300 meters away. At 7am, the routes to the Tien Cong Temple are flooded with people. 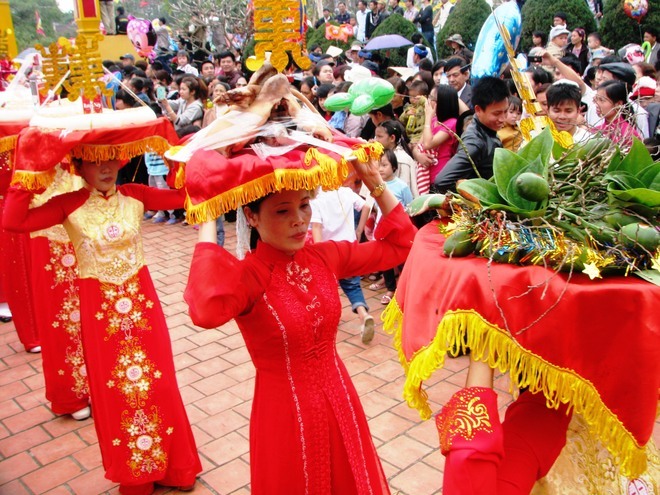 According to some texts from the Ly and Tran Dynasties, the ritual is to honor the people who were discovered this island. They were also formed the communities here as well. 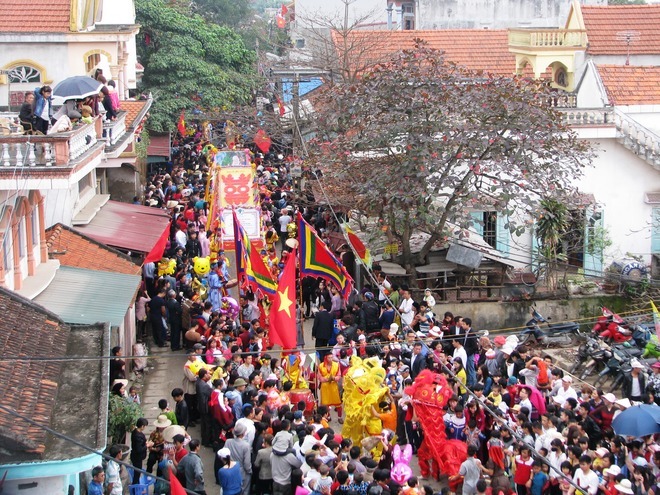 In the early i the 15th century, there were 6 groups of Tien Cong, or the Explorer and civilians came to this island to create dikes, cultivated, and established villages in Ha Nam. 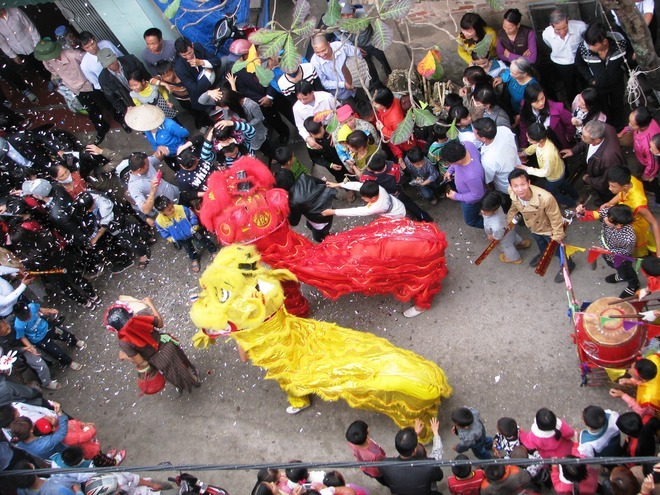 The unique unicorn dances attract many tourists. Mr. Nguyen Van Nam (60 years old, live Yen Hai Ward) said, it is a tradition for many generations. 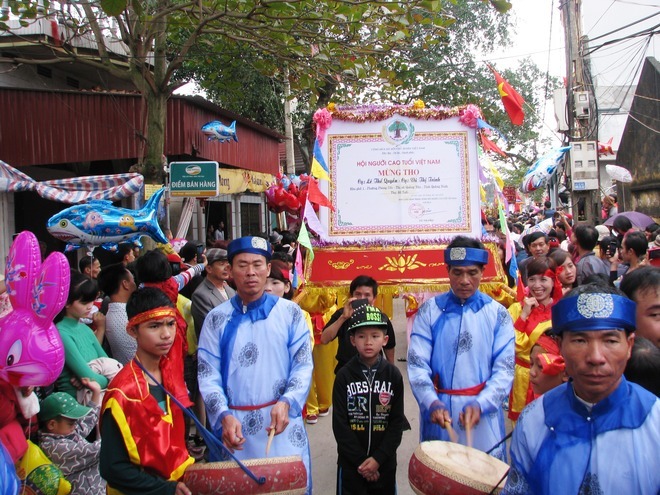 After the Tien Cong Festival, then the people of Ha Nam are really starting the activities of the new year like plowing, sowing, offshore fishing, improving dikes, clearing canals, merchandising… with the belief that they are blessed by the Tien Cong, wishing for a prosperous year. People who follow the parade are mostly family members. Leading the parade is the unicorn dance teams, with some spectacular acrobatics that excite the watchers. The Elders are brought in hammocks, carried by the younger family members. Some are taken by the cyclo. Most of them start at 7h, but not until 11 that they reach the temple. Some houses are far away, 2 to 3 km. 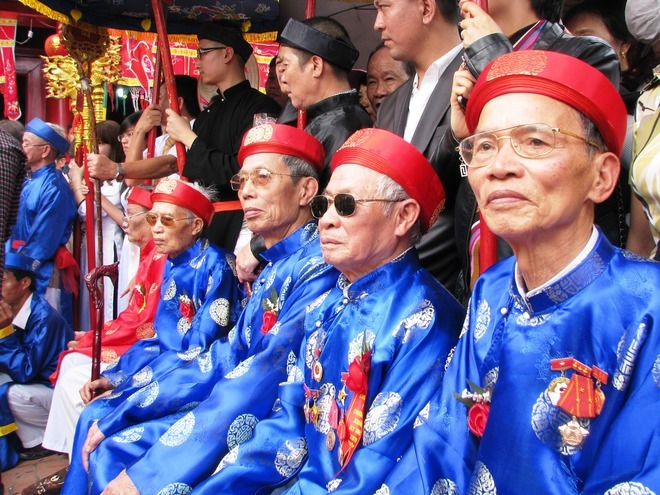 Brothers, Elder Nguyen Quan Dan (90) and Elder Nguyen Quang Tat (80) from Yen Hai village. The Elders (over 80 years) are preparing for the ceremony. This year, there are110 elders are 80 (43 Mr, 64 Mrs), 45 elders are 90 (16 Mr, 29 Mrs), 5 are 100, all are women.